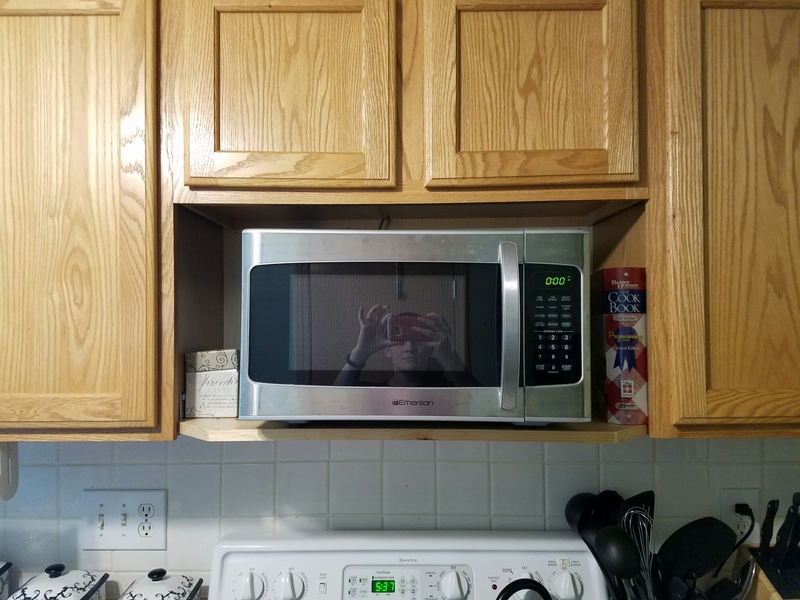 Several months ago our above-range microwave stopped working. Went to heat up my lunch one day, and when I took it out it was still cold. 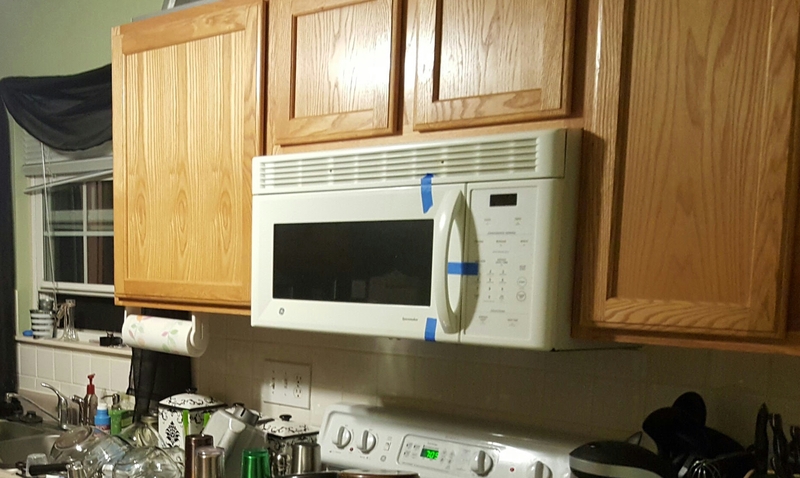 Thankfully we still had another microwave in the garage from our previous residence. 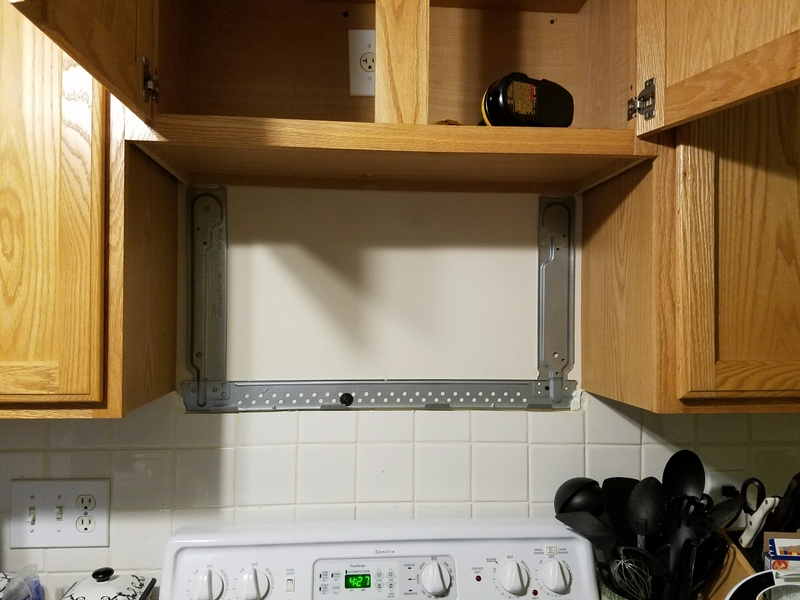 The problem is, the replacement took up a lot of my precious little counter space, and I had a giant, unusable microwave above my stove that I kept accidentally trying to use. Finally my husband taped the door shut with blue painters tape so I’d stop doing it, but that made it even more of an eye soar. Something needed to be done. 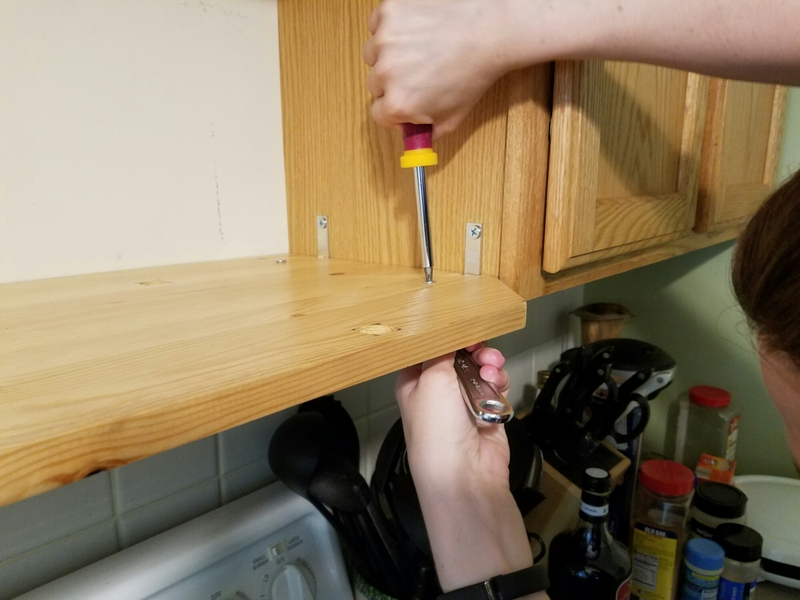 While my mom was visiting one day, she suggested taking out the old, broken microwave and building a shelf to get the working one off the counter. Brilliant! That became our project for this week. 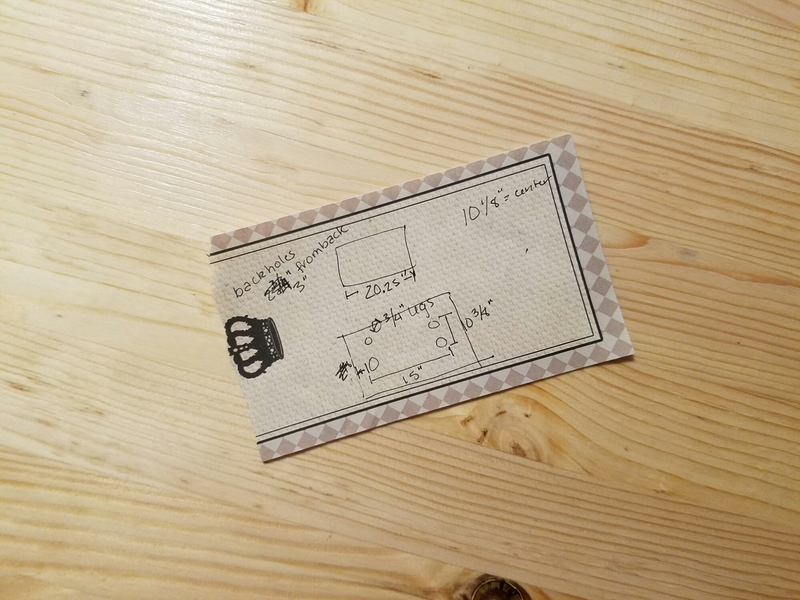 The first thing we did was take down the old microwave. Thankfully, the wall behind it was in much better shape then I thought it would be, so for now we’ll leave it alone (though I’m still kicking around the idea of painting it since the rest of my kitchen walls are sage-y). Then, after careful measuring and cutting (okay, we had to go back a few times and make adjustments) we had our shelf. 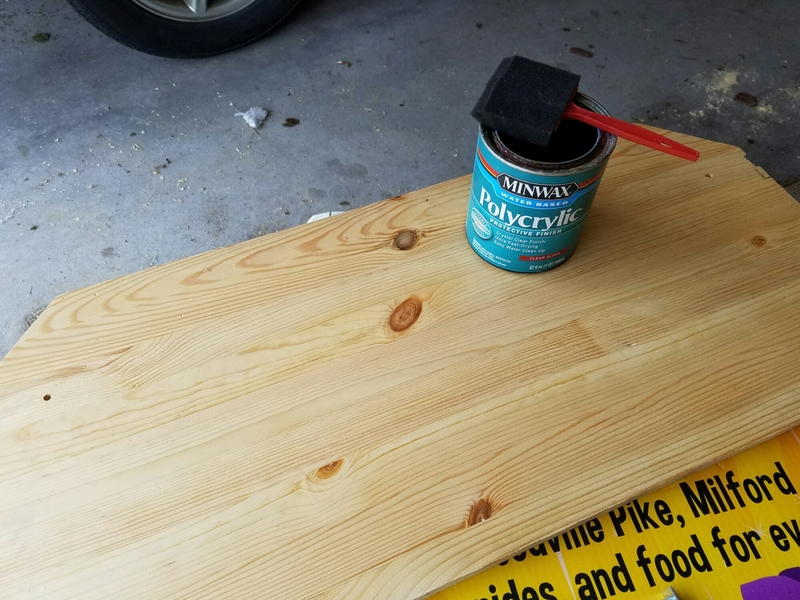 Next I sanded and put a few coats of polycrylic (I had some on hand from a previous project, otherwise I may have gone with something matte rather than gloss…however this will probably be easier to clean) to protect the wood from absorbing food splatter and stuff. And voila! I have my counter back and no more eye soar!